France&apos;s Notre-Dame cathedral caught fire earlier this week causing immense damage to the historical structure. As pledges worth millions begin pouring in from all over the world to help with the building&apos;s restoration, the French video game company Ubisoft has also stepped in to raise awareness. Ubisoft has pledged €500,000 for the cause, and has begun a giveaway of Assassin&apos;s Creed Unity on PC in hopes of encouraging more people to donate. 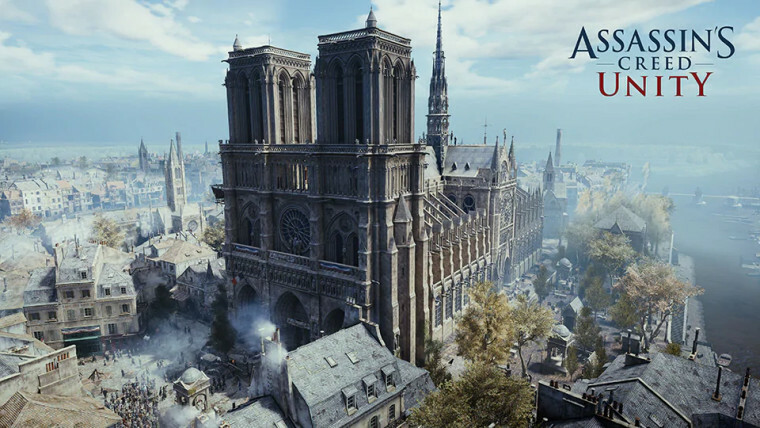 Unity notably has the Notre-Dame cathedral to explore in all its glory, making it an apt giveaway by Ubisoft considering the company&apos;s intentions. "Video games can enable us to explore places in ways we never could have otherwise imagined," said Ubisoft. "We hope, with this small gesture, we can provide everyone an opportunity to appreciate our virtual homage to this monumental piece of architecture." A Uplay copy of Assassin&apos;s Creed Unity can now be claimed by going over to the official giveaway page. The promotion is slated to run until April 25. Published on Wed, 17 Apr 2019 15:02:01 GMT, © All rights reserved by the publisher.